Inevitably the holidays will end and we will have to go back to our lives. For most people this means work or school, and we all know how important it is to be productive and manage time efficiently. Not only do you want to be productive for work, but you will also want to have as much free time on your hands as possible, and this can only be obtained if you manage your daily tasks accordingly. We’ve narrowed our search to five excellent apps and browser plugins (because let’s face it, we spend most of our time in front of the computer), that will stop procrastination forever. I am a procrastinator myself, and some these tools helped me a great deal. 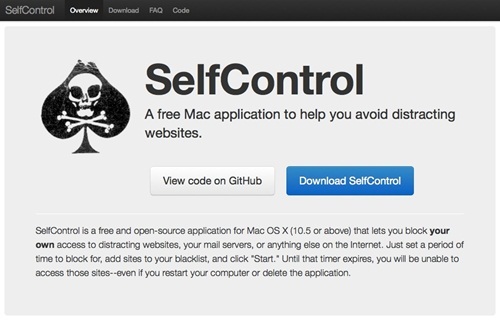 Self control, now that’s one thing I definitely lack. Whenever I’m browsing for something on the internet, or social media, I get stuck there for a few minutes, sometimes even hours. No more “I’ll just see what’s happening on Vine” from now on, because SelfControl will help you decide what to block (eg. 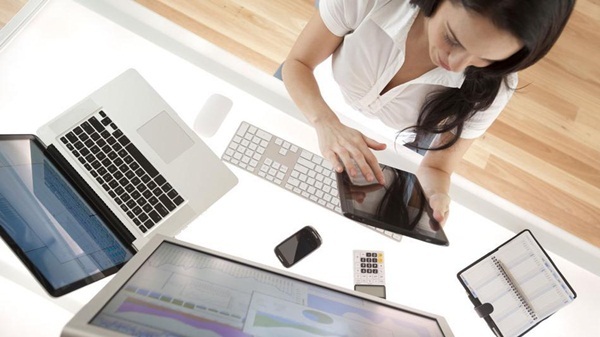 mail servers or addictive websites), in order to concentrate on the tasks at hand. A similar app is Cold Turkey. Unlike other browser plugins or apps, it will enforce a computer-wide block which means that you can’t visit banned sites from different browsers. Written? Kitten! 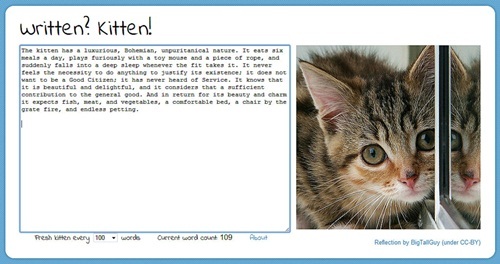 is an adorable app that responds with positive reinforcement every-time you write a given number of words. It is excellent if you are working on a paper, or if you are a writer. We all know how difficult it is to write essays, and having an adorable kitty picture shown once every hundred words or so can be very motivating, especially if you are into cats. Taking breaks is an important part of working, for without them you would not be able to stay productive. All work, and no play inevitably leads to burnout and decrease of productivity. On the other hand, too many breaks can be just as destructive. This is why you should find the perfect balance between work and pauses. 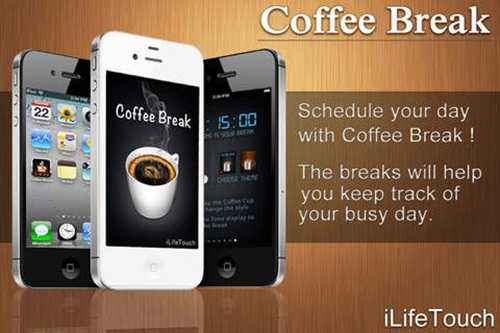 With Coffee Break you can schedule your breaks, and actually take them. The app simply refuses to do anything else until you take that break. I am currently using Rescue Time, and let me tell you, it is one of the best time management apps you will ever find. Seriously! If you have any doubts that you are using your time wisely, this app will help you find out the truth. What it does is run in the background while you go about your business, and it will report how much time you spend on Facebook, useless sites, or working. You will be surprised by the amount of time that you are spending in front of the PC doing nothing. 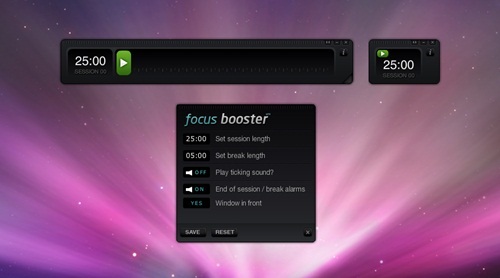 Focus Booster is based on the principles of the Pomodoro Technique (which is explained in the video above). For epic procrastinators, it is the perfect tool because it will enhance focus and remove any anxiety related to time. By using it you will never feel overwhelmed by tasks again. 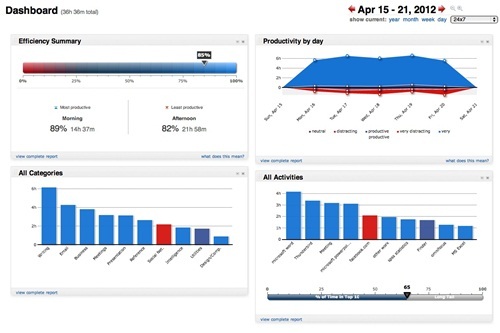 The app is extremely simple: you set periods of work and break, and it will help you respect them.